Nobody likes being late and while anyone can check the time on their smartphone, it’s not a particularly elegant option. Watches have made a huge comeback lately (especially mechanical watches that don’t require batteries to run) and it’s easy to see why. With a style to fit nearly any wrist, there’s something cool about strapping a tiny little machine or supercomputer to your wrist. Being a bunch of car lovers here at Morrie’s, we figured we’d compile a list of our favorite automotive-themed watches to keep the car lover on your holiday gift list on time. 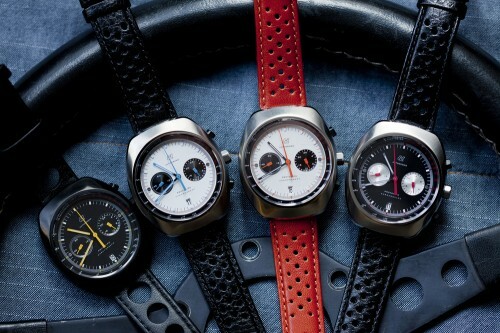 We’re big fans of Autodromo, not just for their watches, but also because the owner of the company is a big car guy. 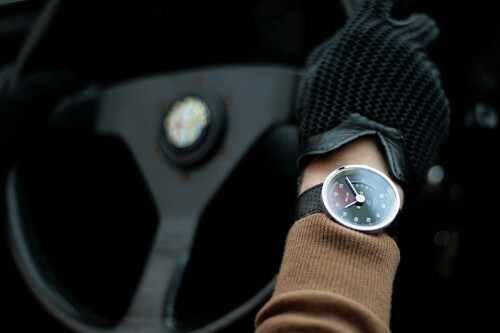 He races a vintage Alfa Romeo and creates some great driving gloves as well as sunglasses. 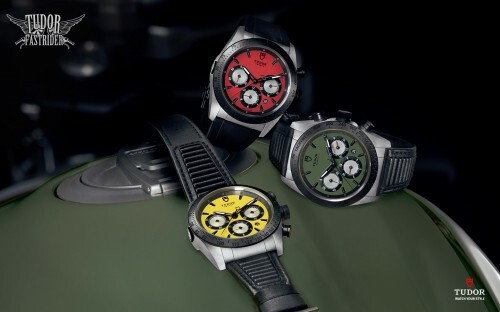 Autodromo’s watches (ranging from $375 – $1,200) are offered in five styles, although we prefer the models that emulate the classic gauges of our favorite race cars such as the “Veloce”, the “Stradale”, and the “Group B”. 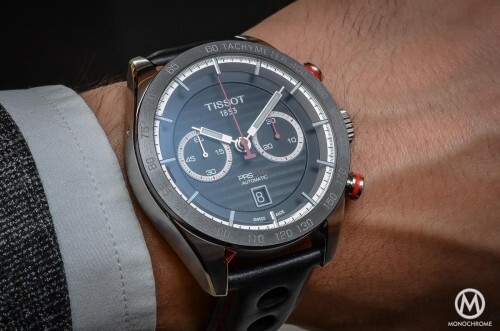 While Autodromo is a relative newcomer to watch world, Tissot has been assembling watches since 1853. While that was quite a while before the first cars (or horseless carriages) were ever created, Tissot has built a solid reputation for themselves with a line of automotive-themed watches. 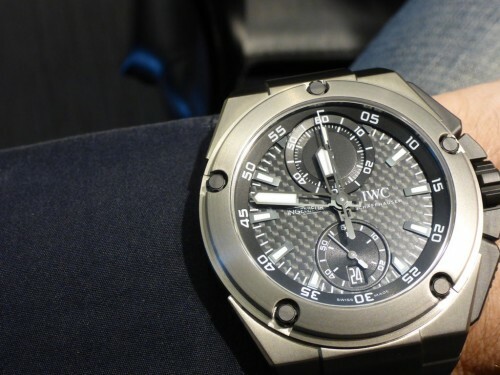 The range features both quartz (battery-powered) and mechanical watches with prices ranging from about $350 – $2,000. For those that appreciate motorcycles, Tudor offers the Fastrider chronograph (about $4,000) in conjunction with Ducati. Available in three unique colors taken directly from the hot new Ducati Scrambler motorcycles, they also come with a really unique leather strap that reminds us of our favorite leather jacket. One name synonymous with motorsports and cars in general is Steve McQueen. 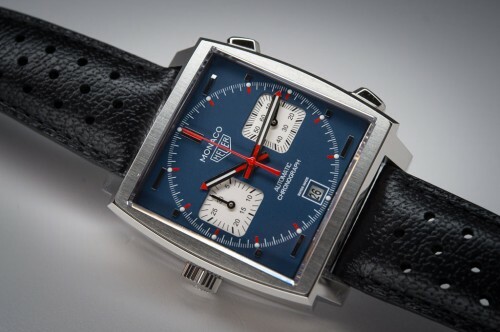 While Heuer (now Tag Heuer) has been around since 1860, Heuer went through a bit of a golden age when they began sponsoring motor racing events in the 1960s. That resurgence hit critical mass when Steve McQueen began wearing a blue and red Heuer Monaco at the track and on set while filming movies like LeMans. As such, that style of Monaco has been dubbed the “Steve McQueen” and now Tag Heuer is offering an updated version with their Caliber 11 movement for 2015 ($5,500). 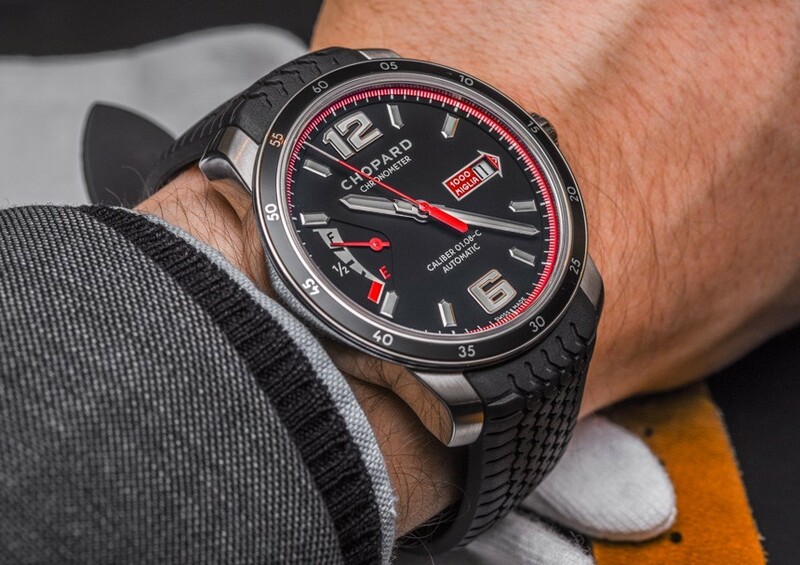 One of the quintessential timepieces that harkens back to vintage racing is the Chopard Mille Miglia. Named after the famous 1,000 km street race through Italy, the Mille Miglia comes on a really cool rubber strap made from actual recycled tires and stamped with a cool vintage tire tread pattern. We especially like the Mille Miglia GTS Power Control ($6,640) model seen below because it features a power reserve indicator that looks just like a gas gauge to alert the wearer when the watch needs to be wound. Those of you who attend our Formula One viewing parties at our Morrie’s Heritage Car Connection warehouse, you might’ve seen three-time World Champion Lewis Hamilton sporting his signature IWC Ingenieur Chronograph ($15,200) around the paddock. The titanium case, ceramic crown and chronograph pushers, and carbon fiber dial just scream motorsports. 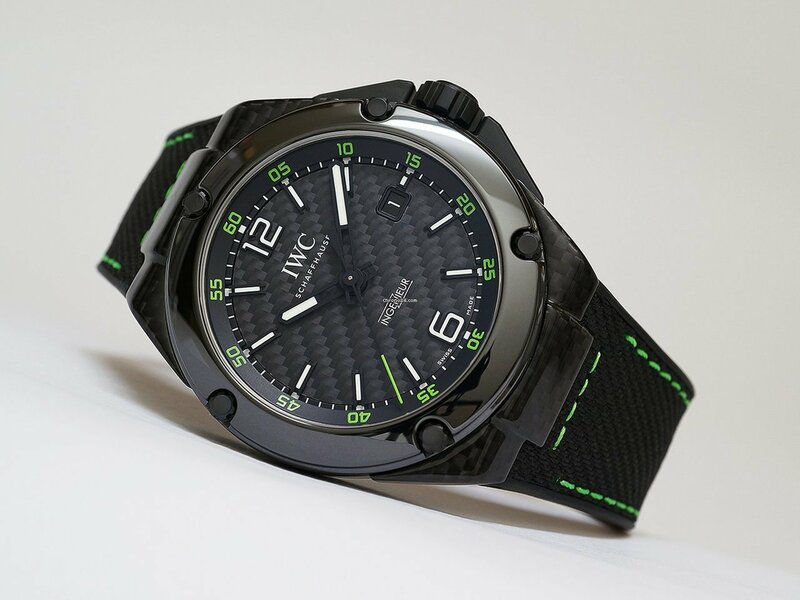 But for those who aren’t part of the Lewis Hamilton Fan Club might want to consider something even more exotic: the carbon fiber-cased IWC Ingenieur Automatic Carbon Performance Ceramic. With a case made out of solid carbon fiber and accented with shiny and nearly indestructible black ceramic, this lightweight watch is just as much F1 car as it is a watch ($20,800). 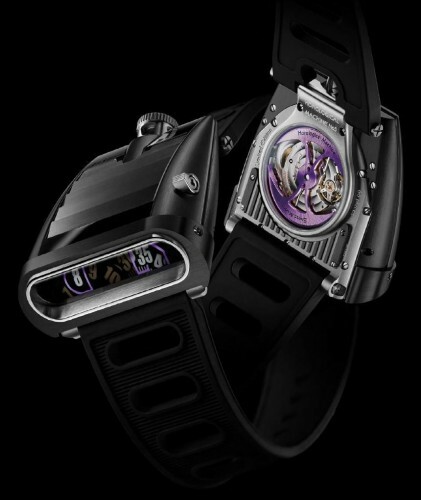 The MB&F HM5 CarboMacrolon is a true piece of haute horology with a completely in-house designed movement and a sleek case that was designed as an homage to one of the most beautiful cars ever built: the Lamborghini Miura. Limited to just 66 pieces in each of three colors, we picked this version as the best of the bunch. What makes this watch so unique is the fact that this is a mechanic watch that displays the time in a digital way, showing the time in two little windows on the side of the watch. What would normally be the face of the watch is actually made up of intricate movable louvers that can be opened by the wearer to allow light to come through the watch and illuminate the time readout. But good looks don’t come cheap – the MB&F HM5 CarboMacrolon carries an eye-watering pricetag of $63,000, or about as much as this lightly used 2014 Maserati Ghibli S Q4.